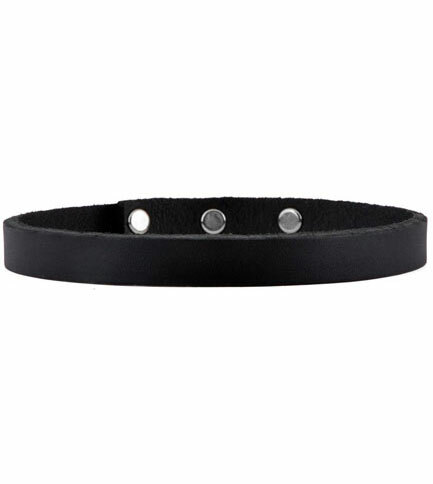 Real black leather 1/2 inch wide choker with 3 adjustable mini snaps. Snaps adjusts at 1 inch increments. Made in the USA. I love this choker and I love the price even more. I originally ordered the same choker some years ago but unfortunately lost it due to theft. I was so happy to get the same product at the same price. Thanks guys!